What is your favorite thing about your job? Seeing the look on a child’s face when I show them what their vision will be like with their first pair of glasses. Tell me a bit more about yourself. I was born in Missouri, but have lived in Colorado since age 3. I am a Niwot Elementary/Niwot High School graduate. I went to CU Boulder for my Bachelor’s degree, and Indiana University for my Optometry degree. I have been practicing optometry since 2009 and love it! I live in Longmont with my husband, Mario and son, Kian. I spend most of my time away from work chasing my toddler around the house. What is an irrational fear you have? Squirrels. What is your favorite thing about your job? I love building lasting relationships with our patients and seeing them return each year. 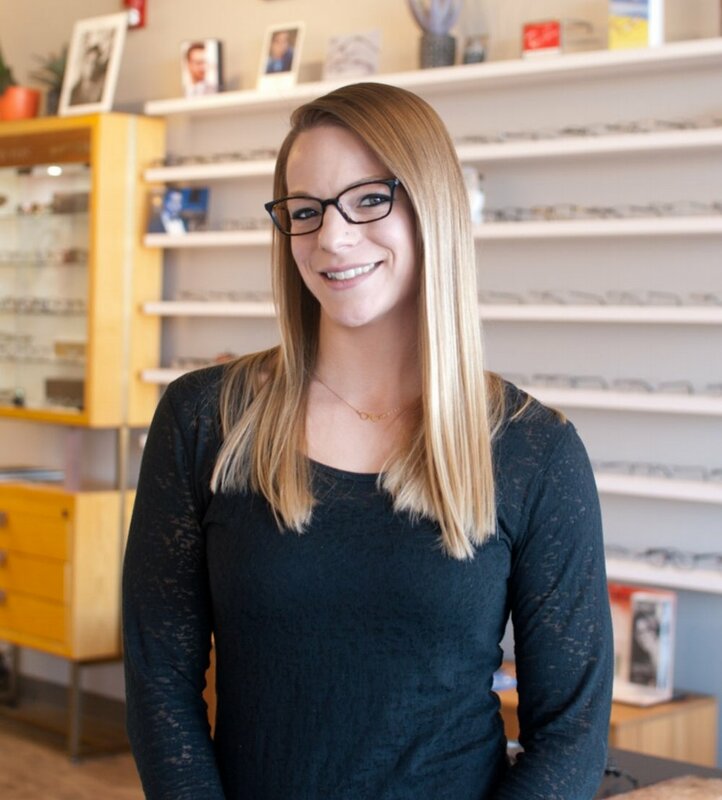 I also love making a person’s day by helping them choose a frame they love and feel confident in! Tell me a bit more about yourself. I am a Colorado native, and have lived in Longmont since I was born. In my free time, you can find me at Gold's Gym, throwing the weights around! I also enjoy hiking, and spending time with my husband Stephan, and our miniature dachshund Lola. We love trying new restaurants, seeing horror movies and grabbing a beer on the patio in the summertime. What is an irrational fear you have? Spiders. What is your favorite thing about your job? Helping people see! What was your first job? My first job was at a movie theater concession stand when I was 16. So much nacho cheese! What is something people may be surprised to learn about you? I used to cook professionally. What is an irrational fear you have? Spiders!